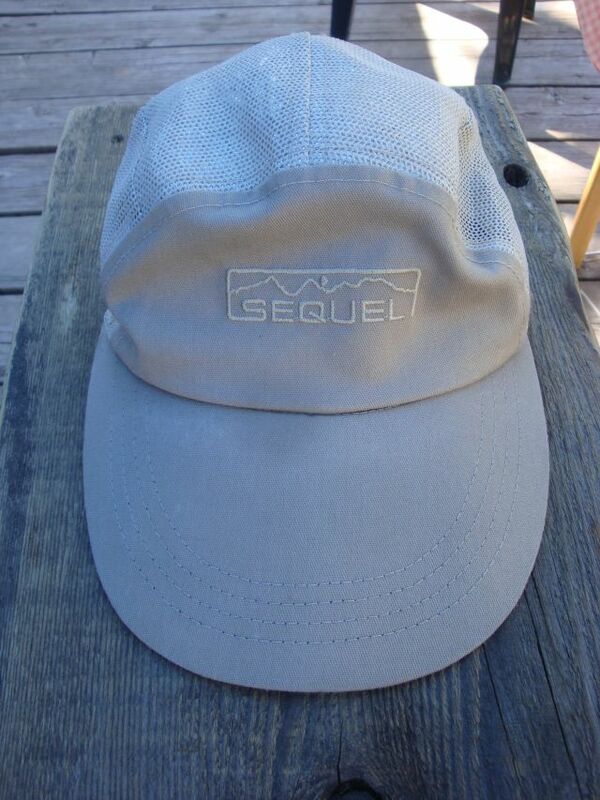 Sequel, formally of Durango, Colorado. 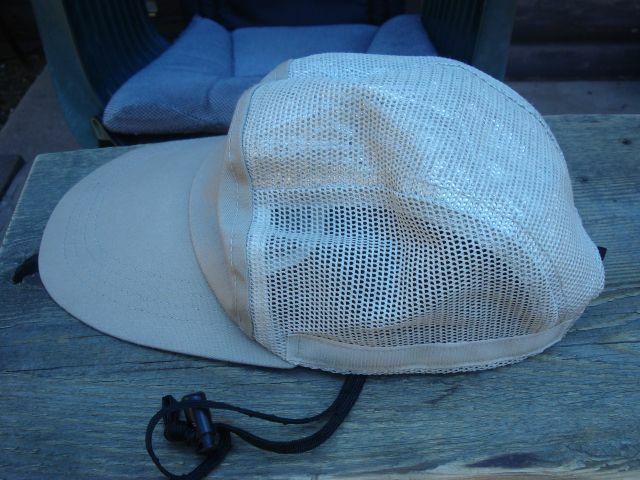 Rare to find one of these excellent sun hats let alone in near new condition. Size XL. The cape is missing but I can send an outline from the cap I have used for 25 years to have one made. Secures with Velcro to the hat. Broad brim with underside colored flat black. Draw cord at the chin for windy weather. 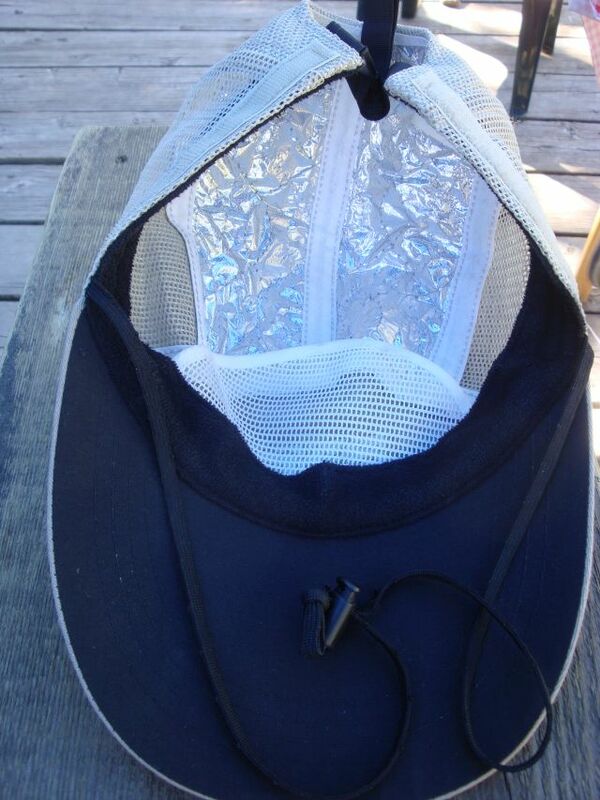 Mesh crown with reflective material across top of head. The hat is perfect, hardly worn condition. Asking $35.00 includes shipping. F and F paypal or please add 3%. Classic Pair of Moleskin Knickers - Made in England. House of Hardy 100% cotton knickers - 34 inch waist. Belt loops, Velcro closure cuffs, zippered fly. Stout moleskin fabric, soft and supple, feels like chamois. Very good used condition with no specific imperfections. Look excellent with sandal's or wear at the crags in cooler weather. Asking $35.00 shipped. Handmade Norwegian Wool Sweater - Beautiful condition with no holes or pulls nor is it misshapen. Body is knit in one piece with no side seams. Size 44 which is 12-14 USA. Shoulder seam across to shoulder seam at the neck line is 22". Armpit to armpit is 19". Sleeve length measured from cuff to top of shoulder seam is 21". Torso length from hem to base of crew neck is 21". My female friend, 5'2", has a thick torso and beefy shoulders, wears size 10-12 depending. Worn over a thin base layer, the sweater wraps around and buttons nicely with no room to spare. I don't know the age or brand of sweater. No tags appear to have been removed. Asking $50.00, shipped. Hi, is the hat still available? Please let me know, I'm very interested. This forum: Older: FS: Men's Patagonia Canvas Duck Shorts - Waist Size 36 Newer: Nemo Nocturne 15 Sleeping bag $200 o.b.o.